Sylilia Lee Lamb Anderson, “Cootie”, was born to the union of Orville and Ernestine Jackson on July 5, 1935 in Kansas City, Kansas. She attended public school in Kansas City, Kansas graduating from Sumner High School in 1953. She was married first to Quintly T. Lamb Sr. and last to Clyde Anderson, who both preceded her in death. 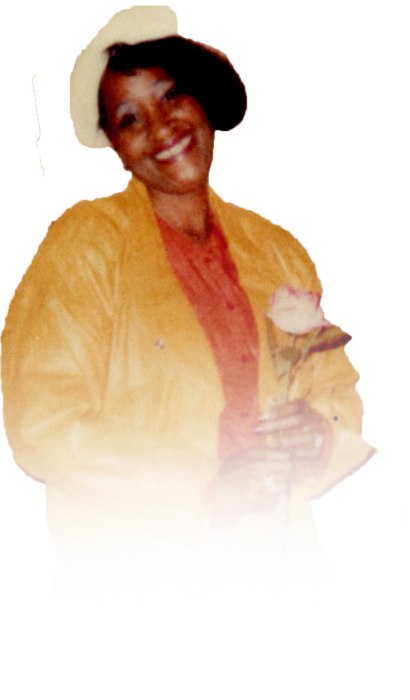 Cootie worked as a private duty nurse for over 60 years, caring for loved ones of many prominent families in the Kansas City metropolitan area. She accepted Christ in her life and was a member of St. James United Methodist Church. She lived her life to the fullest travelling and spending time with family and many special friends who include but are not limited to: Bonita Jones, Detra Estelle, Verlene Lewis, Shirley Mae Sanders, Janie Phiffer, Jackie Ramey, Eddie and DeAnna Strong, Lucille Anson, Jackie Gregg and Brenda Blount. Her parents, sister Willa Jean Bennett, brother Orville Jackson Jr., brother Kevin Jackson, son Quintly T. Lamb Jr., daughter Deborah Lamb and son James Lamb all proceeded her in death. She leaves to mourn her passing, sister: Verna Estelle (Harold) of Grandview, MO; two brothers, Leon Fritz (Alta) and Eathan Fritz, both of Kansas City, MO; her daughters all of Kansas City, Toya Charles, Karen Greene, and Jacqueline Cunningham (Paul); sons Duane Lamb of Washington D.C., Michael Lamb (Elvie) of Sacremento, CA, and Kenny Lamb (Karen) of Atlanta, GA; her grandchildren: Drummond Lamb, Eddie Lamb, Dennis Lamb, Daniel Lamb, Tasia Charles, Angela Taylor, Renita Lewis, Camellia Taylor, Tyrone Cunningham, Tyrese Cunningham, Shelton Smith, Chris Lamb, Stephen Lamb, Krystyna Burnett, Jerrett Lamb, Jamie Lamb and Dennis Jackson, 32 great-grandchildren, special nieces and nephews – Harold Estelle III (Teretha Moore) of Grandview, MO, Annette Crabtree of Grandview, MO, Brian Estelle (Eva) of Houston, TX, Dawn Hickman (Mark) of Lee’s Summit, MO and Correy Estelle of Omaha, NE; and a host of nieces, nephews, relatives and other longtime friends.